Matte Layered Tortoise Frame combined with lightweight Polarized Bronze Polycarbonate lenses - An ideal choice for driving or enjoying all kinds of water sports. These sunglasses give you a classy look that’s ready to go from the boardroom to beach volleyball without missing a beat. 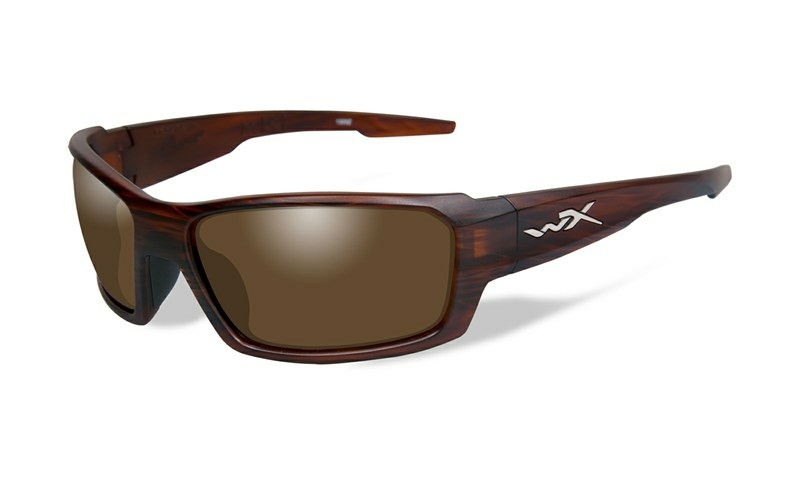 The Wiley X Filter 8™ Polarized Bronze polycarbonate lenses is for superior visual definition. Increase contrast, enhance ground level contours in most light conditions. The WX polarized lenses provides 100% UV protection and is coated with hydrophobic and anti-reflective coating protected by the T-Shell™ scratch resistant layers.